Hello! I’ve said before that February isn’t really my favorite month of the year, and often I spend the 28 days counting down until March. This year, however, was completely different. I had a wonderful month, but unfortunately I have no books and very few pictures to show for it. Still, with that said, here is a small peek into what my month was like. Like I mentioned earlier, I did not read anything this month I don’t know if it was because I was so busy, or because I was so happy, or perhaps a combination of the two. Winter quarter has been incredibly busy, and it has been hard to find time to read for fun. I do have a few books I want to dive into, though, so here’s hoping for a book-filled March! As a drama minor, I had the opportunity to go to a theatre festival called KCACTF (Kennedy Center American College Theatre Festival). While there, I attended workshops and panels, and spent an entire week learning more about the thing I love so much. I took a lot of workshops on directing and diversity in theatre, and came away with pages and pages and pages of notes. I learned so much, and I hope this wasn’t the last time I get to attend a conference like this. My time in Oregon was also a wonderful bonding experience for me and friends I haven’t seen much this quarter. Although we are all drama minors, we don’t see each other all the time anymore now that we don’t have an acting class together. We’re all in the winter show festival, but we’re all in different plays so we still manage to miss each other. This week was the perfect chance to catch each other up on how winter quarter has been going, and to offer love and support to each other (which is something we do best!). Welcome to the end of January! This month has been the busiest of my Freshman year so far, and I couldn’t be happier about it. I didn’t read much (the only book I read for fun was read before I came back to Washington), or write very much, and I spent all my time in only a couple of places, but I really loved this month. Ever since I started college, Fredrik Backman has become one of my favorite authors. Both A Man Called Ove and this one have become some of my favorite books, as well. This is a small novella that took me a day to read. It’s a Christmas story with a twist, and it ends in a way you wouldn’t expect from reading the first page. It’s gripping, thought-provoking, and captivating, and I have a feeling I will return to it for many Christmases to come. I recommend this book for: Anyone who wants to start reading more and wants a small book to start them on their way. 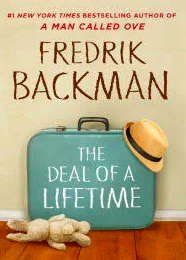 If this doesn’t appeal to you, try: A longer one of Fredrik Backman’s novels. I still think everyone should read something he’s written, and A Man Called Ove is a great place to start! Much of my time this month was spent at a nearby theatre, working with their production of Calendar Girls. Working as a dresser meant having to master the art of the quick change very fast, and that was definitely one of the most challenging parts of the month for me. I spent many hours in the theatre, especially towards the end where the game of “How many twizzlers can Claira eat during tech week?” was played. Working with this theatre has been a really good experience for me so far, and I’m so glad I still have two weekends of shows left. January was a really good month for me. It started off a little iffy with a lot of changes (and we all know how much I loath change), but by the end it had become a wonderful month. I’m hoping the last 31 days were an indication of what the rest of 2019 will be like, and if it is, I can only imagine the good things this year has in store. I hope January was a good month for all of you, as well. If it wasn’t, here’s to 28 days of a wonderful February. Happy end of 2018! I know I don’t speak for everyone when I say this, but I had a really good time this year. Despite the awful things that happened, so much good in humanity was revealed. On a personal level, I tried many new things and had more successes than I thought were possible. This month in particular I finished my first quarter of college, which while being harder than I originally thought, was a wonderful way for me to fine tune what I want to do with my life. Upon coming home for the holidays, I was able to read a book and go to a few nice places (not all of which are pictured here due to a lack of pictures… haha). 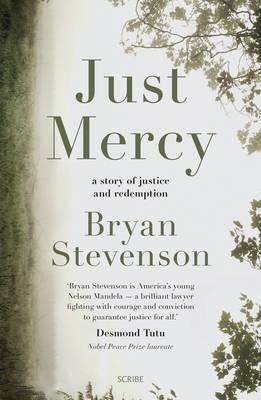 This book was certainly interesting to read. I love Murder, She Wrote, and I love mysteries in general, so when I saw this in a bookstore I figured it would the perfect easy read for after finals. It was, and while it wasn’t what I thought it would be like, I’m glad I had it. The mystery is interesting, the ending isn’t super predictable, and there’s Jessica Fletcher. Parts a little cringy, but overall I had a good time reading it. If you want something easy to read with familiar characters, I’d pick this up. I recommend this book for: Fans of Murder, She Wrote who aren’t opposed to fan fiction and who need something fairly mindless to read. I’d skip this one if: You don’t like Murder, She Wrote, or you do but you don’t want the slightly cringy moments that inevitably arrive when a different author tries to capture well-loved characters. Yup, I went back! I’ve gone to Mendocino once a year since 2015, and the last three times have been with my mom. Originally we were trying to go over the summer, but when that didn’t happen we knew that in order to keep our tradition we’d have to squeeze it in during one of my trips home from college. Since I was only home for a week, it didn’t happen over Thanksgiving, so we managed to fit it in during the last few days of the year. Our tradition is still going strong! I loved returning to Mendocino, even though it was super windy. My mom and I walked through the town, said hello to Jessica Fletcher’s house (see book above), and ate lunch at one of the best places I’ve eaten in a while (the gluten-free bread was fantastic). Returning to Mendocino is always a little bit nostalgic for me, and since I’m already feeling extra nostalgic at the end of the year, this was the perfect time for us to return. This December marks the second full year of being recapping my month in this format. I recently went back to Books I’ve Read & Places I’ve Loved: December 2016, and I was once again greeted with how much can change in two years. What I’ve come to learn, especially in the last year, is that nothing truly great comes from your comfort zone. In 2019 I am challenging myself to leave beyond my comfort zone, even if it’s just a inch further. I have a lot going on in January, and some of it is pretty scary. But hopefully, as long as I stay that inch beyond, I’ll run into February with some new stories to tell. In this new year, I hope all of you do what is best for you. I hope you remember that you know yourself. I hope you breathe, and sing, and run, and dance, and laugh. I hope you remember the good things and put more good out there into a world that so desperately needs it. I hope this last day of 2018 is everything you hope it will be, and here’s to 2019- may it be a year we look back on with happiness. Like July, November was a month where I accidentally took a break from writing. I say accidentally because I got to the end of the month and realized that I had barely posted anything, and when things were posted, I forgot to share them like I usually do. This month was one of many ups and downs. I had my first college breakdown (my writing teacher had said that if it didn’t happen during weeks 3-5, we should all expect one before Thanksgiving. He was right), had a mini crisis when it came to this blog, and tried my hardest to expand my social circle while still staying on top of everything else. November was a little crazy, but it was also really good. I think it’s official- I will read anything recommended to me by my cousin. I should always keep in mind that anything recommended by her will result in me crying, but that’s neither here nor there. This book is spectacular. It revolves around a family of seven, with four boys and a child who was born a boy but discovers she’s actually a girl. This book goes in directions you don’t expect, and this book makes you think about how not even the black and white is black and white. 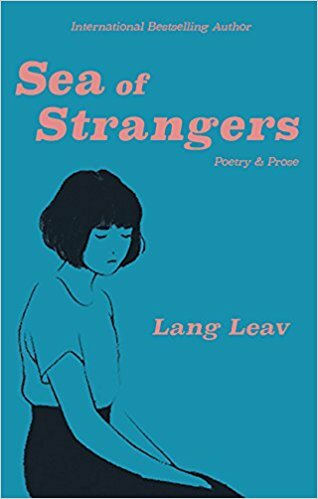 I recommend this book for: Fans of Celeste Ng (author of Everything I Never Told You and Little Fires Everywhere). The writing is very similar, and Frankel has the ability to wrap readers in the lives of the characters and make them feel like they are part of the story. If this book seems like a little too much right now, try: Everything I Never Told You (Celeste Ng). Like I said, the writing is similar and the story is still deep, but in a different way that may seem more approachable. I wasn’t expecting to get involved with the the drama department so quickly, but when a friend called to ask if I could help with house management, I jumped at the chance and said yes. This month I spent hours in a headset doing my best to keep up with unfamiliar- yet still extremely familiar- territory. I loved helping backstage, and it reminded me of how much I love tech people and being involved with a production in any way possible. I realized towards the end of Thanksgiving Break that I hadn’t taken any pictures of my time back home, so here’s the picture I took in the Walla Walla airport to show how small it is. Going home for a week was exactly what my tired soul needed. It was so nice to burn candles, eat home cooked food, and play music without using headphones. I got to play card games and watch movies with my family, and I got to spend a day with friends I hadn’t really spent time with in over a year. I have a whole post going up next week about what it can be like to go home when you’ve been on your own for a couple months, but the main thing to take away is that I was really happy to go home, even for a short while. November was a month of inner turmoil. I had that breakdown, started the process of changing my major and adding another minor (more on these later), and spent most of my time trying to figure out how to be a little happier with my circumstances. But I also took time to remember how blessed I am. I go to a good school and I am lucky enough to be surrounded by good people doing good things. This month may have been a little strange, but I’m still very happy to be where I am, even when it isn’t perfect.